Massive experience in fixing your business message, strategies, tactics, low converting campaigns, presence, positioning, offers, call to action, online response, offline response and more. I give more of what your business needs - RESULTS! Proof below! Here’s glimpse of six failed campaigns that are now a success - FIXED! A 49.2% Conversions Rate From Zero! No Online Presence To Massive Online Presence in Only 5-days! 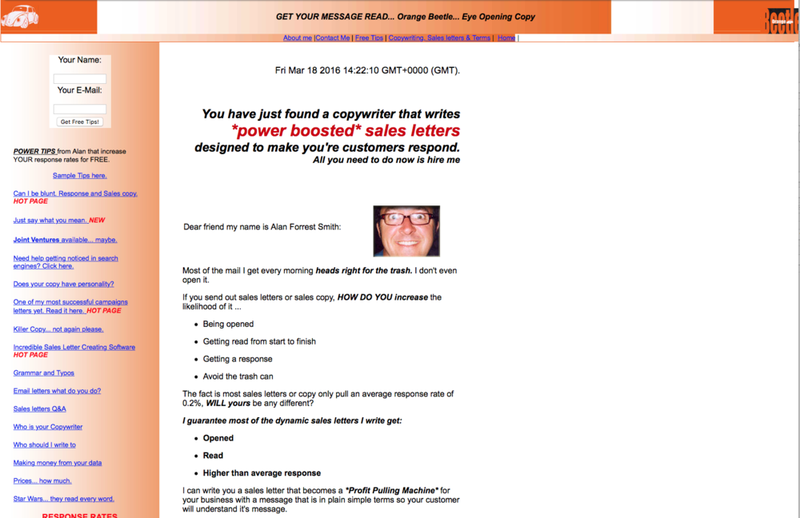 Email Sales of £42,000 in 12 Hours From a Previous Zero! I boast OVER THREE DECADES of Creating Super Effective Results and Fixing Failed Marketing Results! There are two main ways of working with me. Breakthrough Sessions or Mentor. As specialist consultant I specialise in fixing failing, failed, bad marketing, strategy, tactics, response rates, poor results and conversions very, very quickly. Clients love my work, you’ll love my work and my results still blow my mind never mind my clients. There is always a reason your marketing isn’t working. It is usually because you’re doing what you've been told to do by ‘marketing and business experts’ no longer works - Here's exactly why and further down this page exactly what you need to do to fix it. YET the partners I work side-by-side with in some cases: new customers up by 2633.3%. Response rates up 233.7%, specialist services up an incredible 2750%, customer visits sky-rocketed by 465%, customer average spends over 101% and more. NOTE: My copywriting services are now on this page. Strategist Consultant, Specialist Direct Response Expert, Mentor, alliance partner & Copywriter, Alan Forrest Smith here. Just in case you don’t know me – I am a FIXER - a strategist consultant, direct response consultant and copywriting veteran of over three decades, I have written maybe over a dozen pieces of sales copy that generated well over one million in sales and I have written copy for my own businesses and over 400 other business that has ‘probably’ generated well over one hundred million in new sales over the years - EASILY! The marketing experts tell you one thing but the reality is it usually isn’t what will work for your business. Shocking I know - but true! You’ve probably experienced that yourself. That horrible feeling when your results just don’t come in despite all the effort and time and cost you’ve spent. And it’s on the increase. When businesses like you call me, I see and hear more failure from following useless trends today than I have ever seen in my whole life. For example, marketing men still push the endless march of social media. Yet social media is designed to do two things. First, they block outgoing links like yours to keep you on their own site and second did you realise over 80% of your customers NO LONGER TRUST social media Ads? It’s clear the mass engagement has disengaged our customers which means a more direct response approach is urgently needed. Sign up with your email address to receive news and updates of what is really working from the front-lines of marketing. Of course I respect your privacy. You really do need a PROVEN strategist consultant more than ever. This is without a doubt the most effective and highest responding way to build your business. It isn’t new but it’s almost forgotten. Once you take the direct response route you’ll outpace your competition I guarantee that. Read this short case study of a company who’s ‘same as everyone else’s’ marketing wasn’t working. This is how you build a business WITHOUT sitting behind a computer. This is also a very typical example of how I would work and partner with you. SAGE HAIR in Wickham, UK began my MENTOR EXTREME PROGRAM, Jan 2nd, 2018. Here is what has happened in just 23-days into our work together. Here’s an email from them in their own words after just 3-weeks and 2 days working with me. Well, what can I say!! 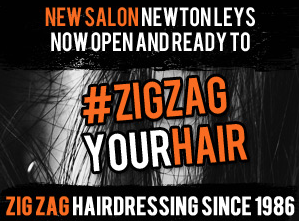 We had a salon, a team, a business – Or so we thought!! We were taking on average £2-3000 a week, it covered the bills… just! We spent A LOT of nights worrying about how we were going to pay the staff if there was money in the bank to pay for the product company…. We didn’t take a wage, we didn’t have any spare cash, we thought we were doing everything as we should but we were still not seeing any increase…. until we called Alan. 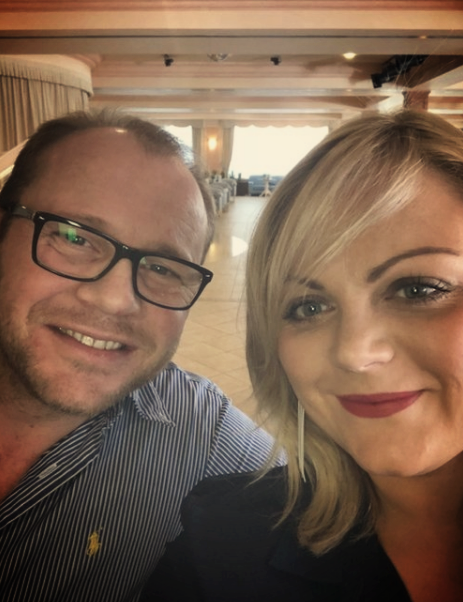 We spent many more nights wondering whether we should take the risk, it was a lot of money that we certainly didn’t have.We made the jump… and it was honestly THE BEST THING WE HAVE EVER DONE!!!! In 4 weeks, he has refocused our attention on stabilising and building a BUSINESS. 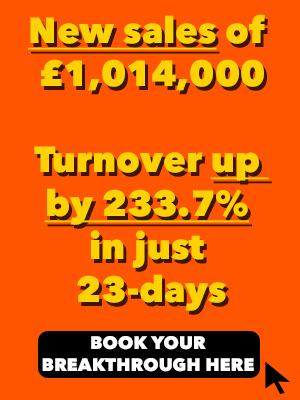 He has almost DOUBLED our turnover in 4 weeks…….at the quietest time of the year!! He has opened our eyes to everything about our business and what we were doing and has flipped it on its head!! It’s INTENSE, ITS HARD WORK AND ITS EXTREME!! But we are ABSOLUTELY LOVING IT!! The results are UNREAL….We are 4 weeks in…we can’t for the results after 12. Alan is fantastic, he is supportive, encouraging and he knows what he’s talking about! He is ALWAYS at the end of the phone, he keeps us focused and he gets results…… it’s just simply amazing! I can’t wait to write about our journey after the next 4 weeks! WE CAN’T THANK YOU ENOUGH……. SIMPLY AMAZING!!!!! When we first spoke, they were doing all the usual marketing advice. It’s probably the same advice you have been given. Endless Facebook posts, LinkedIn posts, Instagram pictures, glossy Ads and other mainstream come and go untested marketing trends that cost you a ton of money. Yes, they looked good but it had no effect on their business at any level, in fact, it was costing them money. I could tell you a hundred marketing stories just like this. I am sure your business is facing the same thing otherwise you wouldn’t be here searching for changes. Let me tell you why direct response works and will work for you. As it says – it’s direct. Right now your buyer is having a conversation in their own mind. Together we find out that conversation and then tap into it. Once we tap into it we build a careful collection of mind triggers, images and phrases that create the reaction that you want – a sale or response. Around that, we create branding, positioning, a unique message, powerful perception, a powerful sticky meme and of course an offer that they simply cannot say no to. This will create for you a direct response strategy that solves and avoids all of the issues mentioned at the top of this page and in fact, once you use you will never go back to hopeless, hapless, trends based and response free marketing again as taught by the experts. A client - KEVIN - came to me. His business was as good as done, beat, screwed! When I say done he had done everything in his own capabilities that was possible. He was now in the red by around £17,000. He couldn't pay wages most of his staff walked out. His stock was almost zero due to unpaid invoices. Frankly, it was a total absolute mess. He would have been happy to declare bankruptcy if I advised him in that direction. I did almost advise him to close and just walk away yet I also know that if everything is already in place apart from systems it can usually be turned around pretty fast. I know that because I’ve seen it and done it on many occasions. After just 48-hours after putting a very simple but very proven systems into place, his business pulled in just over £42,000. Now a proven system had been put into place. Over the following year he went from the brink of bankruptcy to 2.1 million in sales. Another client of mine had a similar experience. His numbers weren't as high yet I created a £15,400 windfall for him over a single week. That grew to over £60,000. Again a review, analysis and changes were put in place based on proven systems I've used since I started on business over three decades ago. And look at these - all real numbers- extreme numbers - real numbers…! 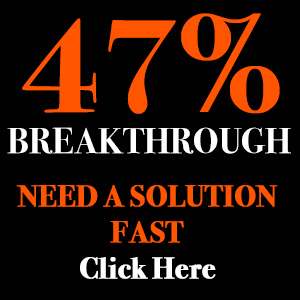 Increased sales of 2,300% with a new direct response strategy - in just 4-days! 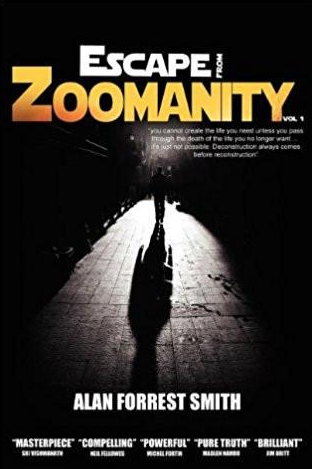 Increased his sales by $2.4million from zero despite being close to bankruptcy! A brand new business that made her $4,000 in the first promotion (more than double her monthly wage). 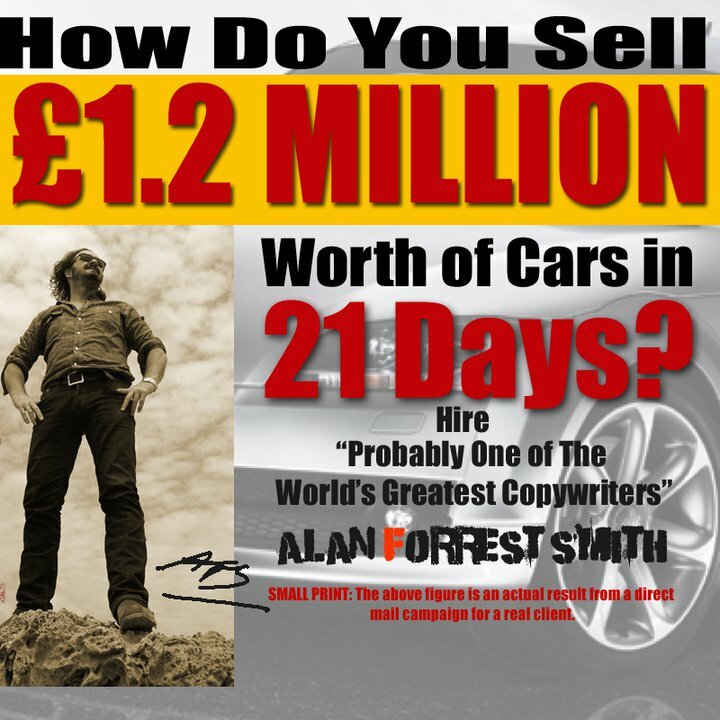 A £250,000 magazine advert that made one client rich! 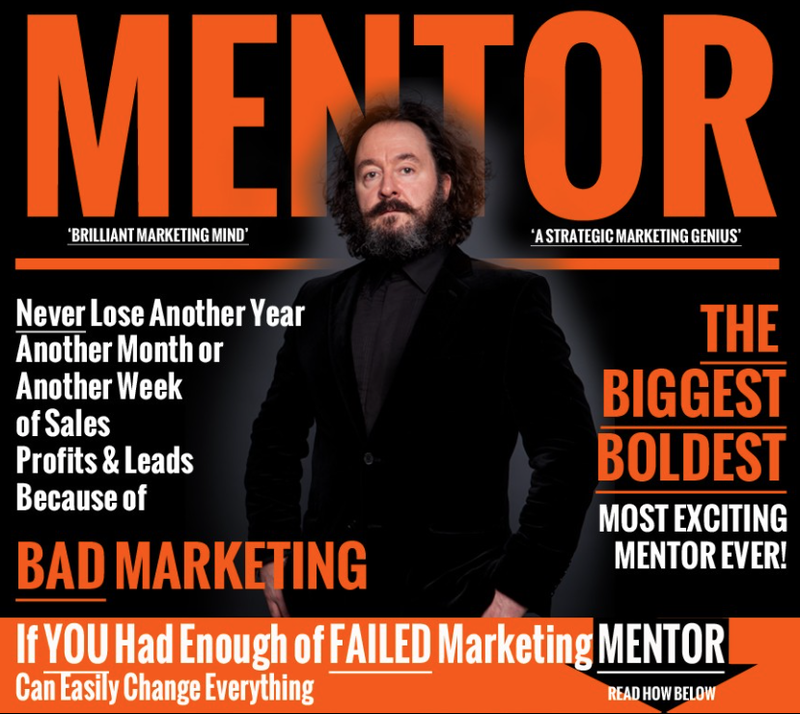 You Can't Do It All Alone - That's Impossible - That's Why Your Marketing Is Broken! Both stories are interesting for one reason, both had their businesses for more than five years. Both were repeat offenders with their lack of direct response marketing systems and both eventually came to the conclusion that they make this work or shut the doors. Both had also committed the cardinal sin of marketing and business and it is this… trying to do everything yourself! That is always a recipe for disaster as I have seen many times with clients. Strategic Consulting - Simple and even tiny changes can make huge difference to your business. I once had a client that wrote perfect copy. He told me his letter was terrible and it just didn’t sell. I read and read his letter but it was as good as perfect part from one single paragraph at the end. This paragraph was where his call to action should be. It was missing. After such a brilliant letter he fell for the biggest mistake in the book by not telling his customer what to do next. I changed it and tweaked his strategy slightly. His sales from the next campaign totalled just under $100,000 from a single webpage. Over Three Decades of Strategist Consulting, Business Mentoring Programme, Building Real Businesses, Growing, Playing, and Creating Real Businesses Using Powerful Direct Response - With REAL RESULTS To Support It. The above are ALL powerful direct response marketing results from my own clients. If you need to read more about them you can read real direct response studies and results here. USING PROVEN DIRECT RESPONSE STRATEGY SO SIMPLE YOU WOULDN’T BELIEVE IT. And I have seen this sales or response reaction not just in hairdressers like mentioned above but in over 400 hundred business types over the past three decades. Never in the time of marketing has there been so much outright confusion, lies, fake marketing news but at the same time clarity that you can create our own business future by doing what you need to do today. If you are in a position where nothing you are doing is working we should speak. A client of mine slashed his marketing costs along by £100,000 after a 30-minute conversation. Another one of my clients increased his sales by just under $84,000 after a one-hour conversation. And another client transformed his online business from struggling start-up to a £12 million a year company after following my very direct response strategies and advice. I know you need help and need the advice to make your results increase. If we speak today you could have a fix in place by tomorrow or at least the start of a program that will transform your own results. Text or call me to arrange a FREE 15-minute insight call where you can ask me what you like and I can get a little more detail on your problems. Are you getting your rewards or has this year like previous years been a struggle? You tell others about your struggle and talk constantly about your struggle. You feel like nothing can change yet you are hoping it will. It doesn't have to be that way yet it will remain that way unless you take some action. Now you can do a couple of things. Go buy a decent book on marketing. Read it and make something changes. Do what I did and buy hundreds of books, magazines and read them and practice what you read over the next three decades. A. Hire a cheap expert but that makes as much sense as cheap medicine! B. Hire a real direct response marketing expert because whatever you invest should cost you nothing after the systems are in place. Or just carry on as usual after all that is what most people do in business. There is one more option - close the door and get a job. For some this is easier. 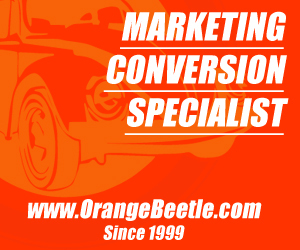 Would you just like to get you response rates, conversion ratios, copy, strategies fixed and fixed and fixed fast? I guarantee that any results or response or conversion problem in your business online or offline can be fixed and if I can't fix it I will tell you before we do anything! Marketing Strategies That Do What They Promise: In OVER THREE DECADES of business I am yet to see a problem that I haven't been able to FIX. Give me a call to talk about your business and I promise to deliver you ideas, strategies, tactics and results that will leave you a scratching your head in disbelief. 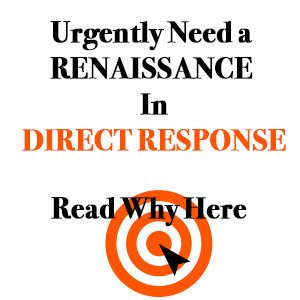 MY DIRECT Marketing Higher Response STRATEGIES WILL FIND AND FIX YOUR RESULTS In 21 Days OR LESS … Guaranteed. That means if we agree to do this today in just 21-days you’re nagging marketing problem could be FIXED! Another client went from almost bankrupt to sales of over £42,000 in under one week. Another client based in Australia had increased sales of £84,000 overnight after his offer had been fixed. And one more for this page - a client went from pitiful sales that paid nothing to sales of just over £20,000 in less a single week. If you have a response, conversion, systems, strategic or problem I will fix it.